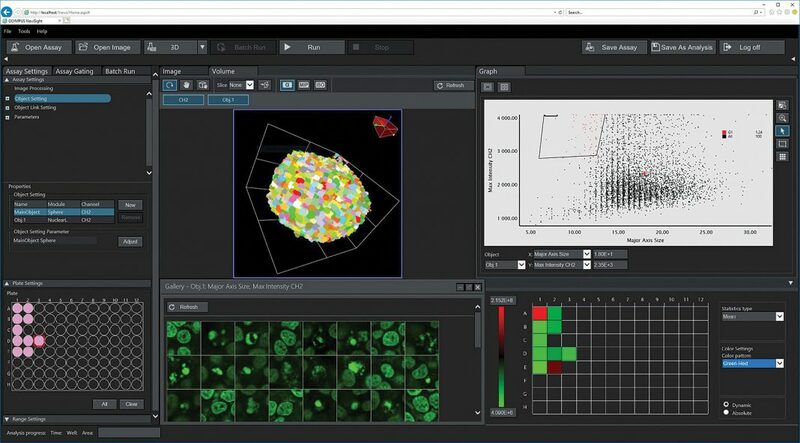 The Novisight™ 3D cell analysis software was designed for microplate-based experiments. The software’s True 3D technology enables users to check sample morphology and measure a range of spheroid or cell nuclei parameters including volume and sphericity. For biologists, the software makes it possible to measure and analyze physiological relevant 3D models, helping improve the speed of drug discovery. The software comes with a variety of ready-to-use 3D cell assays. Simply choose the assay that suits your experiment and begin analyzing. Users can also automate sequential processes for multiple datasets and assays.